You are here: Home / Articles / Another long season for the Swans? Another long season for the Swans? Swansea slumped to a 1-0 defeat at the hands of fellow struggler’s West Ham last weekend and they have now been installed as second favourites to be relegated this season. It has been a tumultuous couple of years at the Liberty Stadium and the Swans only just avoided relegation by the skin of their teeth in 2016/17. That came after they changed managers twice during the torrid campaign and fans hoped Paul Clement would steady the ship this time around. But sadly it looks like another long old season is unfolding after the team took just five points from their opening seven games to leave them marooned in the relegation zone. The defeat to West Ham could hardly have come at a worse time as it preceded an international break in which the players will have to stew on their shortcomings for a fortnight. Check independent reviews of betting sites to find the best option and you will see that Swansea are now 6/4 to be relegated. Only Crystal Palace, winless and goalless in seven games and rock bottom of the Premiership, have a shorter set of odds. After emerging as a force to be reckoned with in the top flight and playing a brand of attractive football that won plaudits across the land, Swansea have descended into plucky relegation candidates and they will need to channel a real battling spirit if they are to beat the drop this time around. Renato Sanches has yet to showcase his true ability, so every effort needs to be made during this fortnight off to get him acclimatised and able to influence games. Yet the biggest disappointment against West Ham was the attack. On paper Clement has assembled a strong offensive triumvirate in Wilfried Bony, Tammy Abraham and Jordan Ayew, but they failed to click against the Hammers. “I am concerned, I would have expected better in terms of points and performances. Good strikers carve out opportunities for themselves.” – said Clement in his post-match interview. He has laid down the gauntlet for his forwards there, and fans can only pray they respond. Abraham has shown glimpses of his talent, while if Bony can come anywhere close to recapturing the form he displayed in his last spell at Swansea then the team can really surge up the table. But right now things are looking grim for Clement, who will be acutely aware of his club’s propensity for changing managers. He has moved up to sixth favourite in the running to become the next Premiership boss to be relieved of his duties and he may have expended a large chunk of the goodwill he earned by guiding the Swans to safety last season. The manager has looked a little shell-shocked of late, but he insists his team have been unlucky and remains steadfast in his belief in their ability to turn things around. 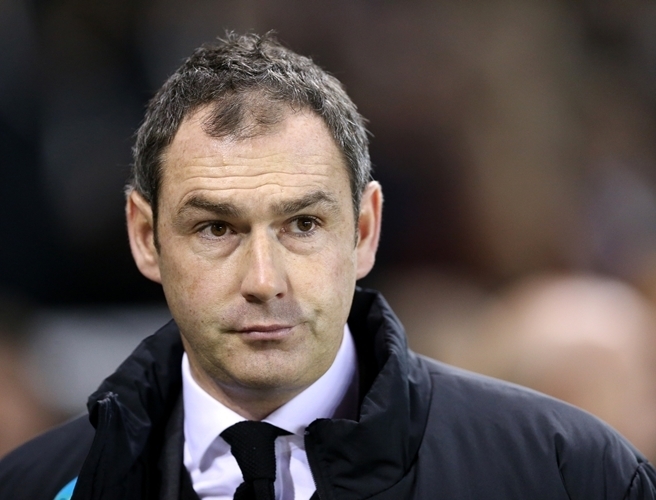 Clement felt his side were worthy of a point despite the last gasp defeat against West Ham, who moved out of the relegation zone with the three points. It goes back to the same old problem: Swansea have scored just three goals all season and will go down if they cannot find their shooting boots. Joe Hart barely had anything to do at the weekend. Attractive passing is all well and good, but it is pointless if there is no end product. Clement should throw a bit more caution to the wind and set his team up to excite if they are to have a chance of remaining in this league.